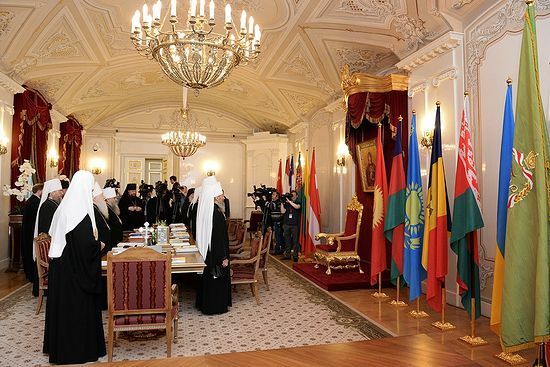 The Holy Synod of the Russian Orthodox Church at its meeting on July 13, 2015, in St. Petersburg established (Minutes no. 41) a day of special prayer for the God’s creation, reports Patriarchia.ru. The Holy Synod members have approved the text of a special prayer for protection of the God’s creation (prepared by the Synodal Liturgical Commission) which will be held annually in all churches of the Russian Orthodox Church on the first Sunday of September. The Synod has also decreed that archpastors and pastors should deliver sermons dedicated to care for God’s creation on that day. The Russian Orthodox Church pays special attention to promotion of a conscientious attitude towards God’s creation – the world around us. Late in the 20th – early in the 21st centuries this led to the adoption of a number of Church documents that express the stance of the Orthodox Church on environmental issues. The question of ecology was also raised at the Council of Hierarchs in 1997 which resulted in the document, the Basis of the Social Concept of the Russian Orthodox Church, adopted at the jubilee Council of Bishops in 2000. In 2008 this issue was raised in the document, the Russian Orthodox Church's Basic Teaching on Human Dignity, Freedom and Rights. In the same year a meeting of primates of Local Orthodox Churches was held in Turkey at which the resulting document, the Message of Primates of the Orthodox Churches, which devoted a special attention to the environmental problem, was adopted. “In connection with this we reaffirm the establishing of a day of special prayers for protection of God’s creation (introduced earlier by the Patriarchate of Constantinople) on September 1, at the beginning of the Church year. We endorse introduction of the theme of protection of the environment into catechization, sermons and pastoral work of our Churches as is already the case in some of them,” the document reads. 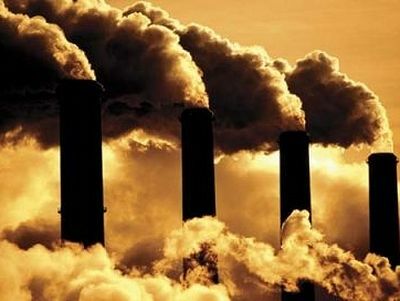 In line with the universal Orthodox decisions, the Council of Bishops in 2013 adopted an important document, the Stance of the Russian Orthodox Church on Pressing Environmental Problems. This document encourages activity of the clergy and laity in the environmental field. The Supreme Church Council at its meetings on February 17 and June 25, 2015, discussed the proposals put forward by the Church and Public Environmental Conservation Organization at the Synodal Department for Relations between the Church and Society, that was established for implementation of the ideas expressed by the Hierarchal Council of 2013 in the above-mentioned document. Specifically, it was proposed to establish a day of special petition for the creation of God. 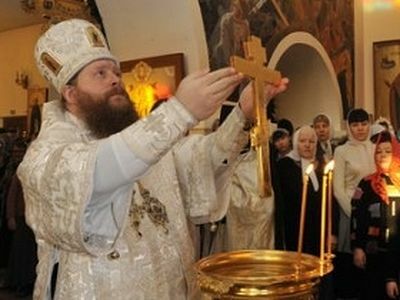 September 1 – the date fixed by the heads of Local Orthodox Churches at their meeting of 2008 – in the countries of canonical presence of the Russian Orthodox Church is marked by the beginning of the academic year at secular and Church educational institutions, prayer services for students, and, therefore, overlapping of two significant dates is inconvenient. It should also be noted that on Sundays churches are attended by a considerably large number of people and, thus, holding of one or another celebration or prayer service on Sunday will be a large-scale event. That is why it was decided to establish the day of special prayer for God’s creation on the first Sunday of September. Every year on or around Epiphany, a group of Eastern Orthodox Christian faithful from Denver forms a carpool caravan and drives three hours to the Continental Divide at Monarch Pass, Colo. They make this trek to bless the snowpack because they know that the spring melt will flow east and west down the Rockies to feed the life-giving streams and rivers of the lands below.